Kimchi is one of my favorite foods on the planet. It's spicy, salty, tangy, and oh-so-addictively fermented. Eating it regularly might give you the worst breath in the world, but you know what? That's what toothpaste and breath mints are for. 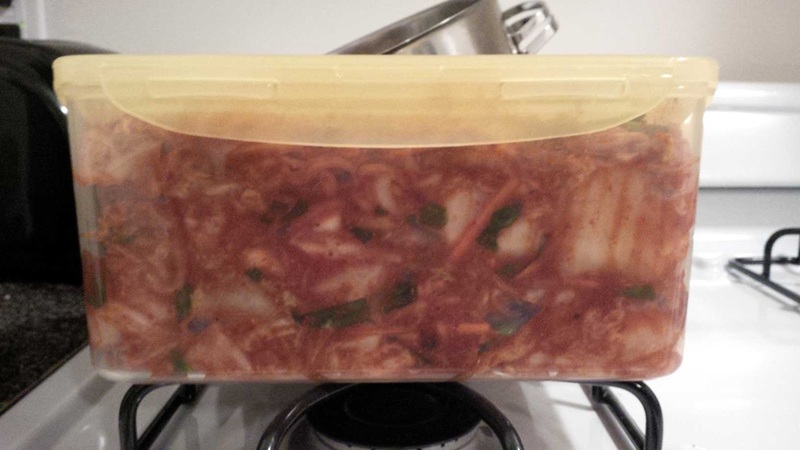 This is what a gallon of homemade kimchi looks like. Awwww yeah. 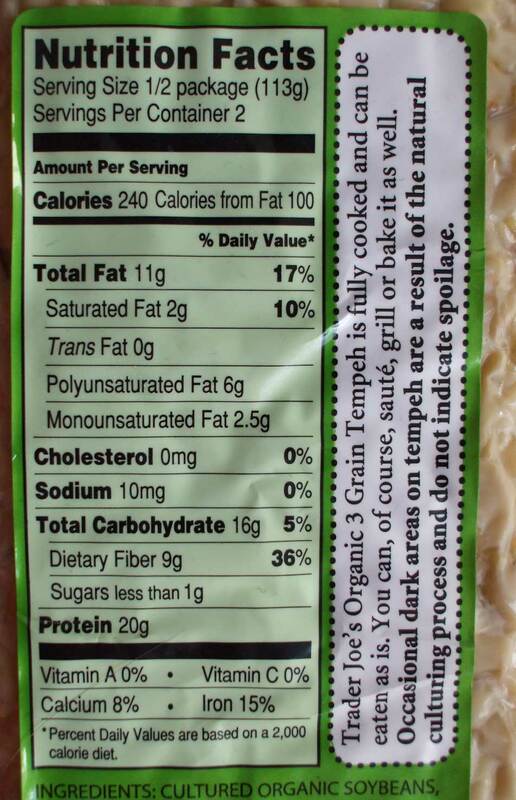 Storebought kimchi often contains shrimp or anchovy paste, creating a problem for vegans and vegetarians. One can occasionally find vegetarian kimchi in natural foods markets and places like that, but it tends to be quite expensive (up to $10 for a 16oz jar). But, I have good news! Making your own kimchi isn't difficult at all. I won't lie - it is time-consuming, but it doesn't require any special skill other than knowing how to chop and grind up and rinse vegetables. 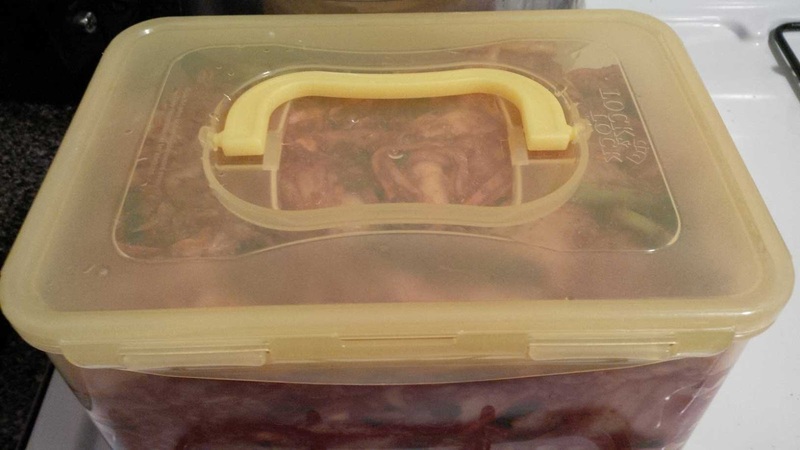 You also don't need to bury your kimchi in the ground in late autumn or get a special kimchi fridge... leaving it on your kitchen counter for a day or two to start the fermentation process and then putting it in your normal fridge works fine. Though you might want to wrap a plastic bag around the container so the odor doesn't contaminate the other stuff in your fridge. Korean radish (mu): Korean radishes look similar to daikon radishes but they are not exactly the same. In general, the radishes add a bit of bitterness/spiciness and crunch to kimchi, and I think daikon works fine for that purpose, plus it's easier to find. I've never tried kimchi with the regular red garden radishes you find easily in America, but it might be a little too bitter? Glutinous rice powder/water: Glutinous rice powder is not the same as regular rice flour. It's... glutinous. The purpose of this ingredient in kimchi is to thicken and help adhere the sauce to the cabbage/vegetables, which is especially important with whole cabbage kimchi. If you're making cut (mat) cabbage kimchi it won't be terrible if you skip it, but honestly, if you have any sort of Asian market in your town you should be able to find glutinous rice powder for cheap. I get mine at a local Chinese market for $1 a bag and it's white and labelled "rice glue", lolz. Asian pear: Asian pears tend to be much rounder that the average supermarket pears we get here in America. The purpose of this ingredient is to "soften" the flavor of the kimchi a bit, and I think it's absolutely worth including for that reason. You know what though, regular supermarket pears work fine for this! Just make sure they're very ripe so you can grind them up easily. Gochugaru: AKA kochukaru or Korean red pepper powder. 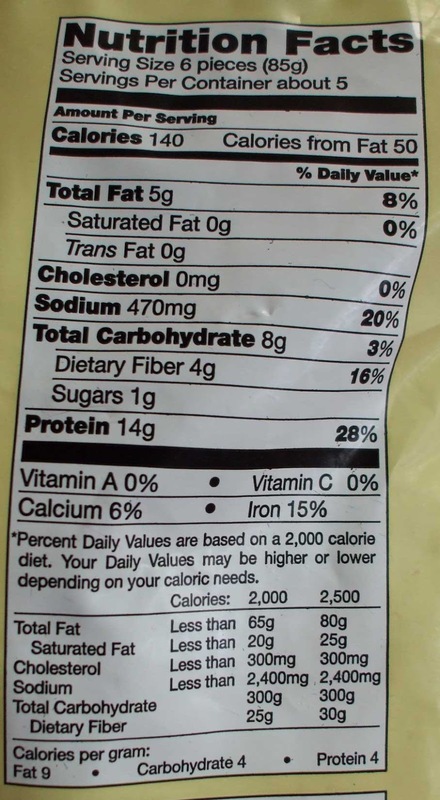 This is the one thing you really can't substitute, as it's not the same as other types of pepper powder and really instrumental in making kimchi taste like kimchi. If you don't have a Korean market in your town but do have a Chinese one there's a chance you'll find it there - many Chinese markets around these parts carry a small selection of Korean basics. You can also get it on Amazon if all else fails. Do pay attention to what type you get though! I use medium to coarse pepper powder for kimchi, as I think the very fine type would be too spicy and is better suited to making things like pepper paste. 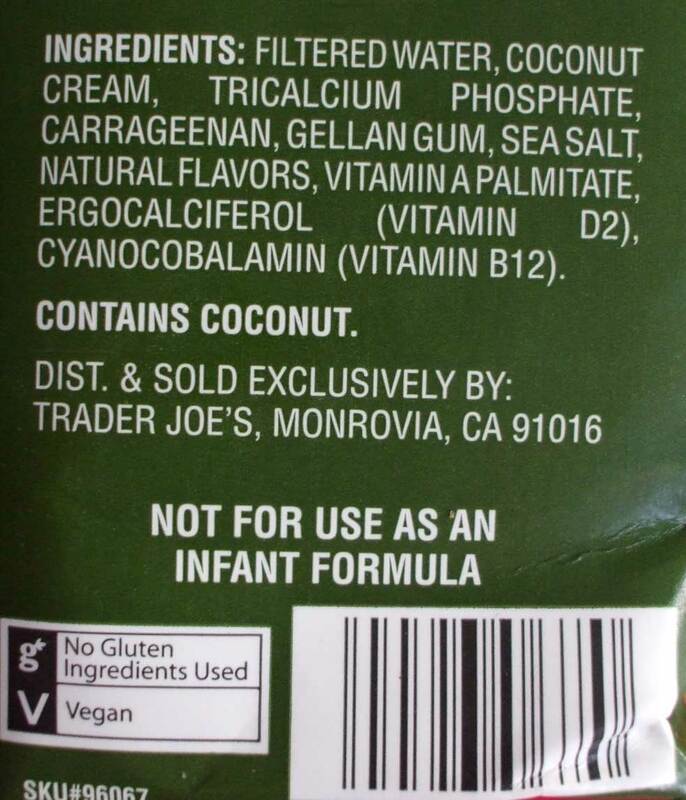 Most recipes don't include kelp powder, but Vegan8Korean uses it in theirs and I think it adds something. 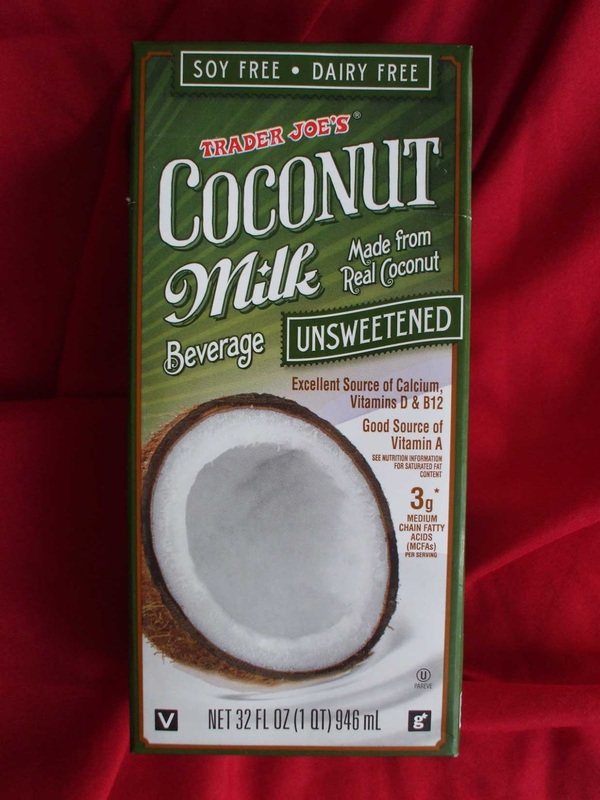 You could leave it out, but I don't think it's too difficult to find - I get mine off iHerb. Do you like kimchi? Have you ever tried making your own? So... I had this whole elaborate post planned involving photos on my external hard drive, and guess what? I can't find the damn thing! But I did find some photos of another thing on my phone, so you get to see that in all its grainy glory instead. 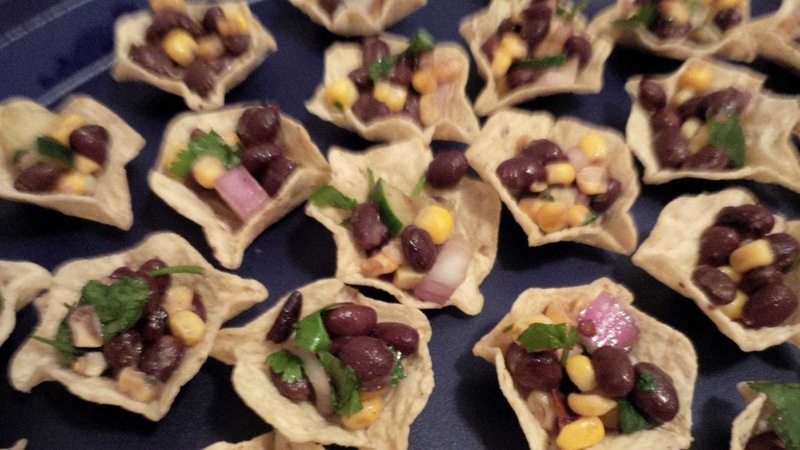 Pictured above: Black bean and corn salad in tortilla chip cups. I forget exactly what I put in this, but definitely plenty of onions and cilantro and lime juice and salt. 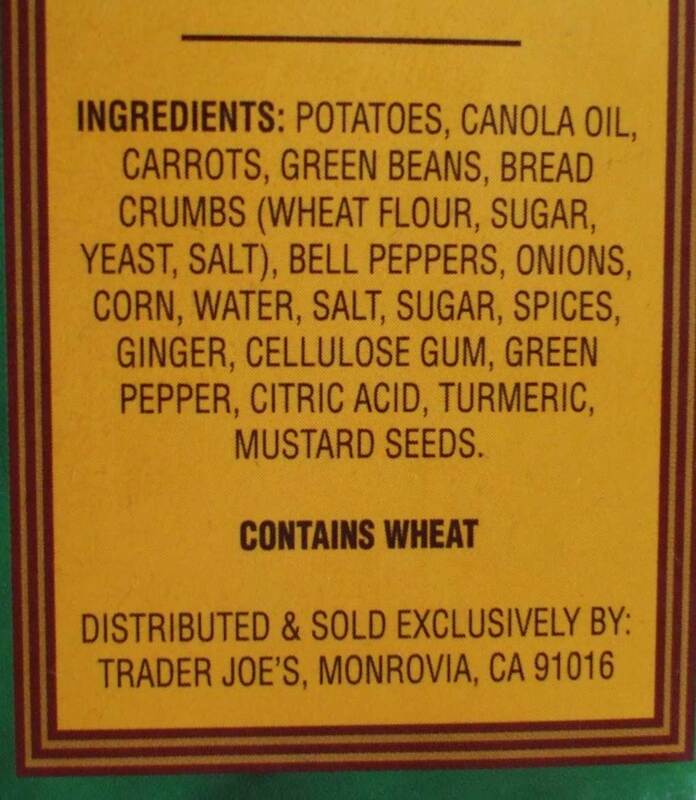 Probably some cumin too. 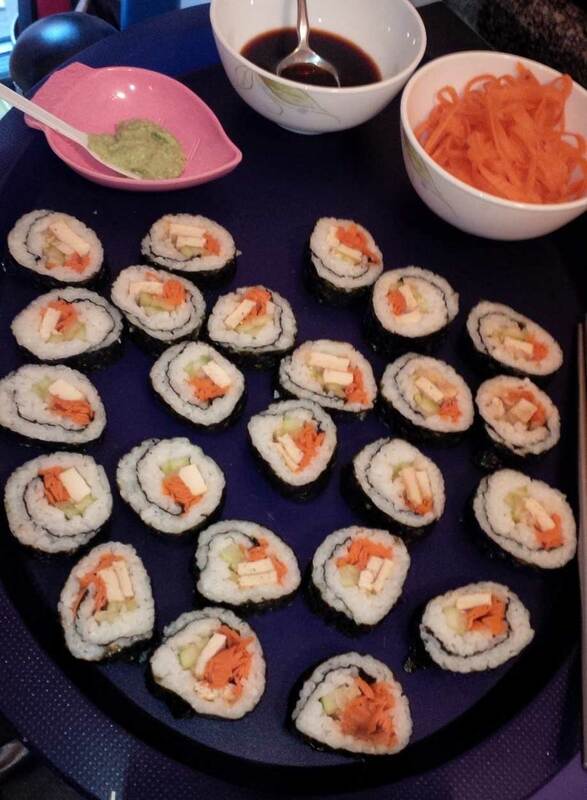 Pictured above: Veggie sushi rolls made with cucumber, homemade teriyaki baked tofu, and homemade hot red pepper pickled carrot shreds. 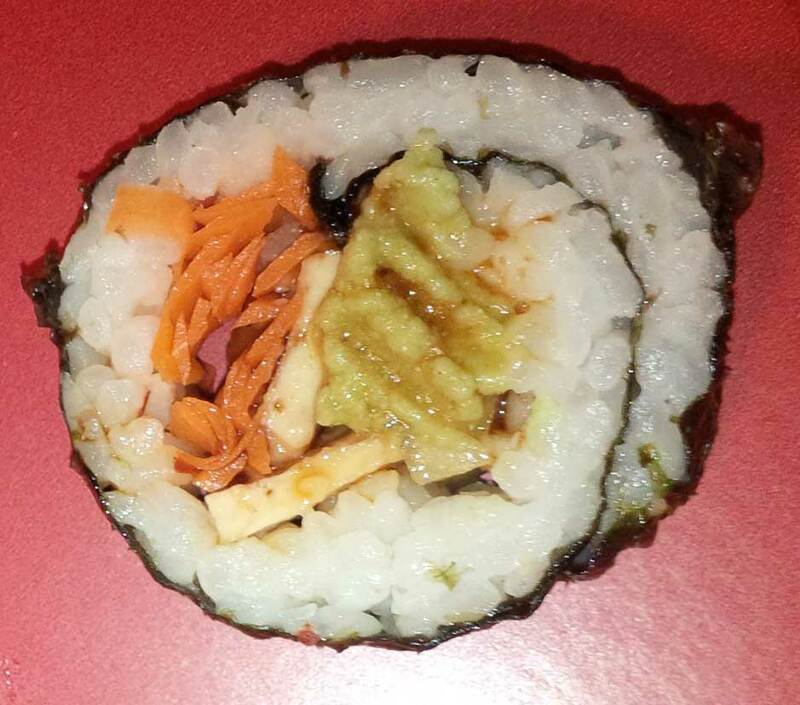 Served with wasabi, soy sauce and extra pickled carrots on the side. Pictured above: Our old-school punchbowl, served with a ladle and little cups on the side. 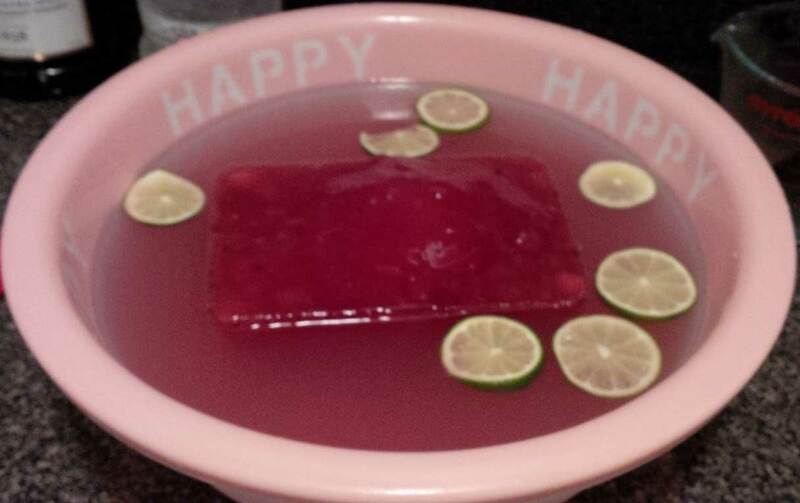 The punch was made from vodka, lemonade and lemon-lime soda, and that big ice block in the middle is made from pulverized berries mixed with water. A huge ice block like that keeps the punch cold for a long time, and as it melts it turns the punch pink and vaguely berry-flavored which is sort of fun. :) We also had beer and soda and whiskey for people who wanted it. Not pictured at all because I am an idiot and didn't take a picture: Chocolate-dipped pretzel logs coated with crushed peanuts and shredded coconut. Unsurprisingly, those were quite a hit as well. 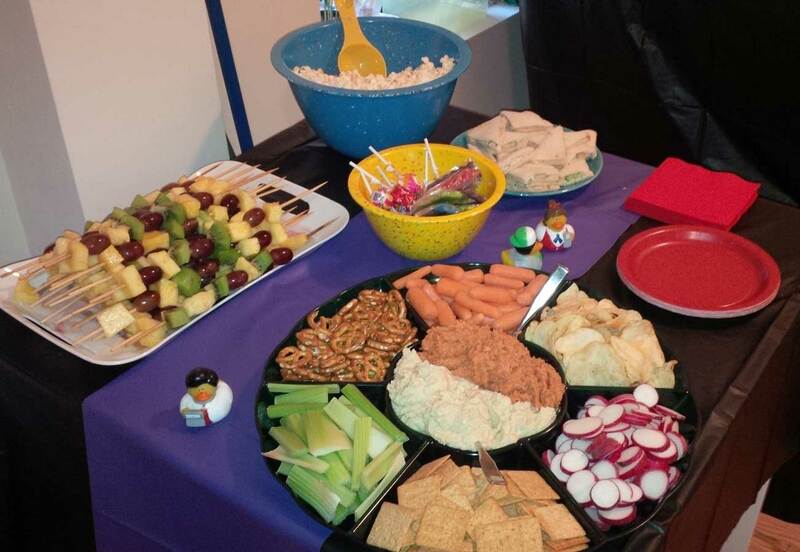 What do you think of this party spread? 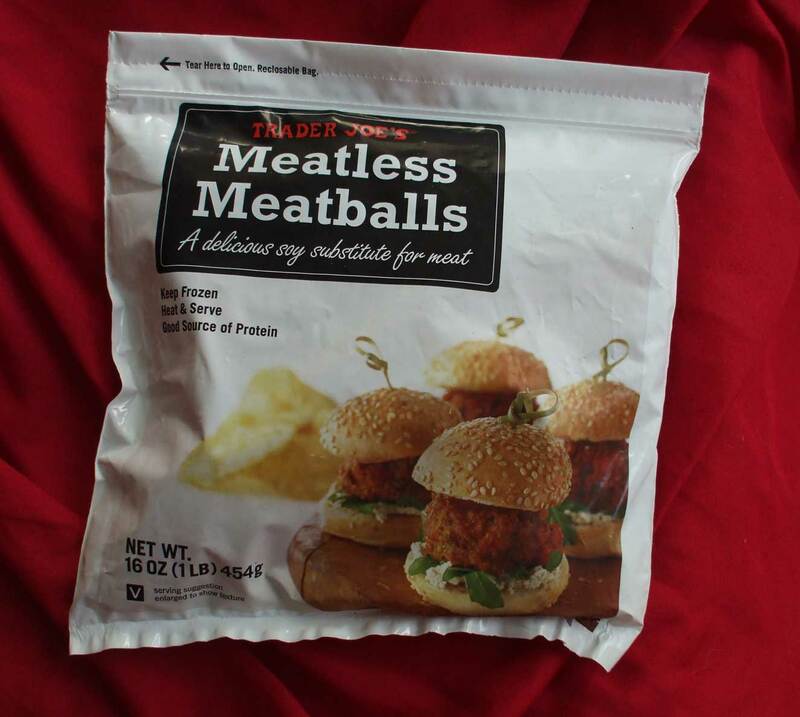 What are your favorite vegan snacks to serve (or eat) at parties? Tired of the same old creamy nooch-n-mac or Italian-style pasta salads? I'd like to recommend a delicious alternative... Japchae! The dish pictured above was loosely based on this recipe by Vegan8Korean. Typically japchae has a bit of meat in it, but it's so easy to just omit it and still end up with something amazingly tasty. You can switch up the veggies and seasonings a bit based on your taste and what you have around, but the only thing that you can't really substitute is the noodles - sweet potato starch vermicelli has a bouncy, chewy texture that wheat pasta just can't imitate. You can find this type of noodle at most Korean and Chinese supermarkets, or if that's not an option you can get them at inflated prices on Amazon. Hello to all on this the fifth day of MoFodom! 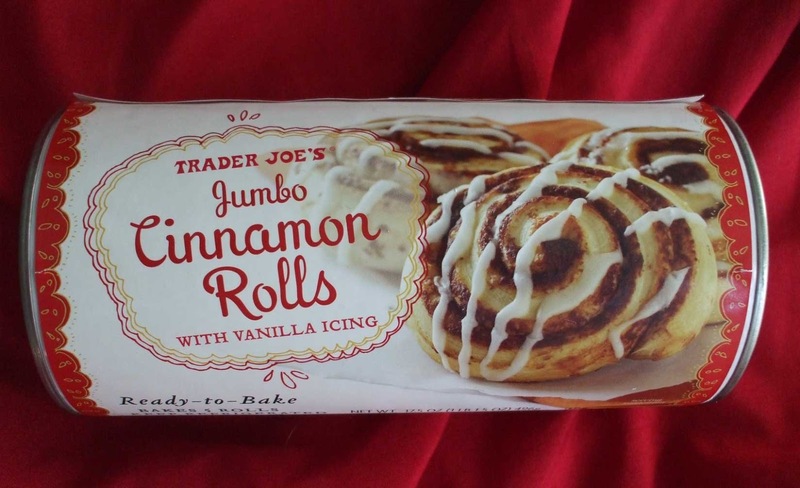 Since this is day five I'll be rambling about five awesome things I've been finding at Trader Joe's lately. 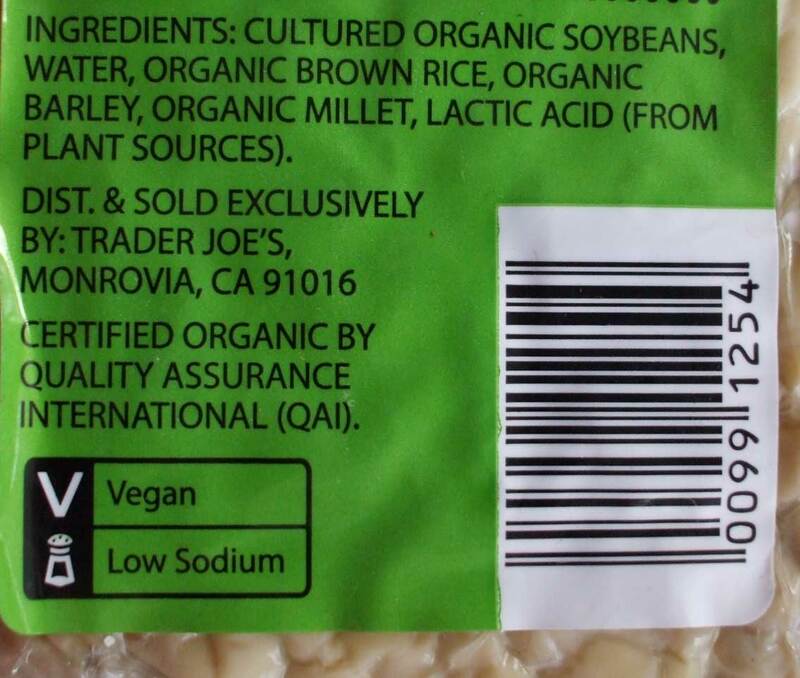 On the very slim chance that you don't know what Trader Joe's is, it's a chain of retail food markets selling mainly "own-brand" stuff. They are well known for their excellent selection of inexpensive vegan and vegetarian foods and snacks (and wine if you don't live in a state with stupid liquor laws), not to mention their body care and household products. 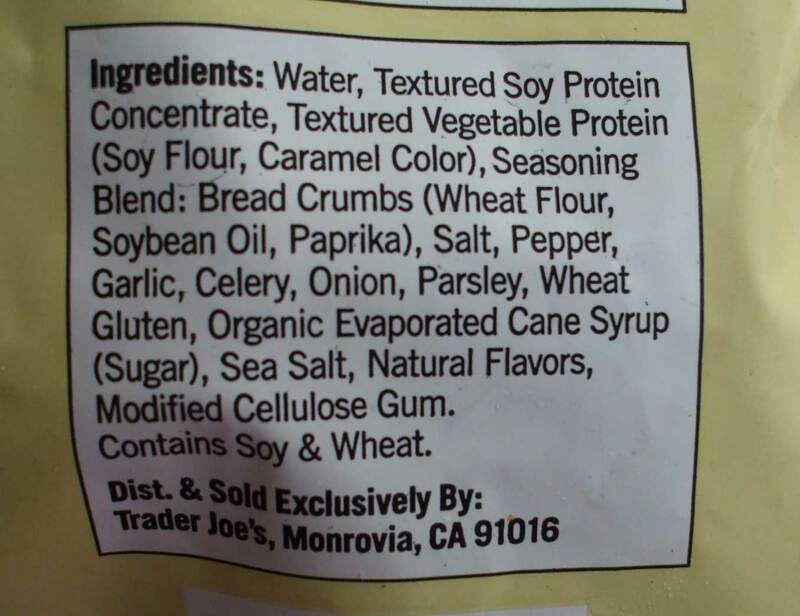 If you're reading this and don't have a Trader Joe's near you then... well... sorry. When they say "May contain traces of milk" I assume that means they were made on shared equipment, which I'm personally OK with. Anyway, these cinnamon rolls are ooey and gooey and pretty damn good for something that comes out of a can... they're probably not as good as homemade, but these are a hell of a lot easier. My only complaint is that they come five to a can, and since I live in a two-person household that means we end up fighting over the last one. 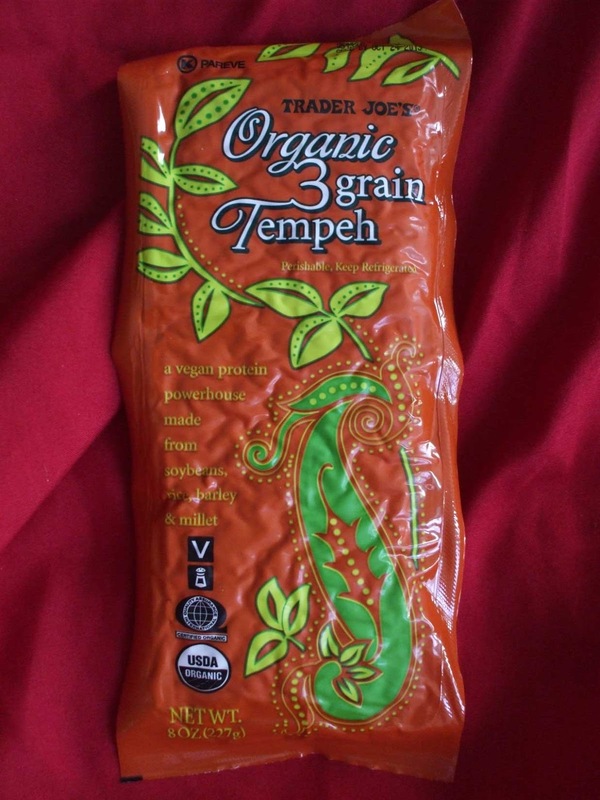 What are your favorite items at Trader Joe's? 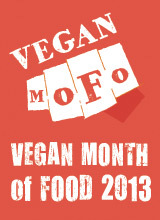 Today's post is dedicated to pizza, a food that I sorely missed when I first went vegan a few years ago. At first I compensated by ordering cheeseless pies from a local pizzeria, which will certainly do in pinch, but ultimately left me unsatisfied. 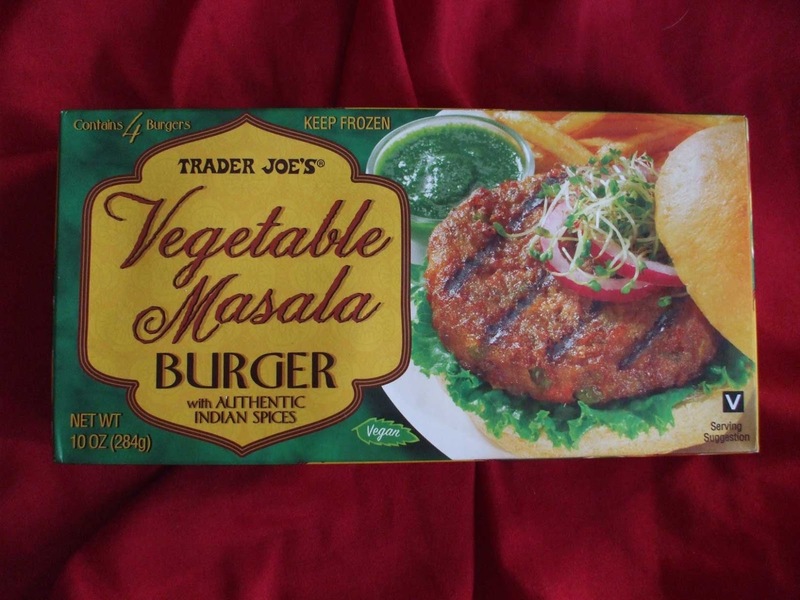 Then for a time I lived near a place in New York that made hearty vegan pies with Daiya, but like many things that didn't last forever and I was back to square one. Trial and error taught me that homemade pizza was really the way to go, because you can add as many toppings as you want without being charged a million dollars, plus you can use any vegan cheese in the universe (or no vegan cheese, if that's how you roll). Homemade pizza dough is also quite filling, and I totally recommend learning to make it sometime if you've never tried before. Of course not everybody has time to make entire pizza from scratch, so I present to you... my quickie weeknight pizzas! Pizza one: Topped with a light sprinkling of Daiya, artichoke hearts, roasted red peppers, sundried tomatoes and a little bit of nooch and crushed red pepper. Pizza two: Topped with fresh spinach and basil, a generous helping of Daiya, roasted red peppers, sundried tomatoes, Trader Joe's soyrizo and a dash of nutritional yeast and crushed red pepper. Both pizzas are constructed on flat pita bread (not the kind that opens up into a pocket - what are the flat ones called?) with a base of whatever marinara sauce I happened to have in my cupboard, so the only real prep involved was cutting up and sprinkling on the toppings. Give these a bake in the oven for about 10-15 minutes and you're good to go! © 2012-2013 by Raquel Barry. Simple theme. Powered by Blogger.